Radio Disney To Premiere New Song “Spend” From Prodigy Teen Musician Will Muse | 2911 Enterprises, Inc.
LOS ANGELES, Calif. – Prodigy teen musician Will Muse is back with his sophomore single “Spend” which is set to make its world premiere today, Thursday, April 11 at 5pm ET / 2pm PT on the Radio Disney Network and through the Radio Disney App. The upbeat, and jaunty piano driven song is a dynamic showcase of Muse’s pop, rock and blues-tinged vocals, fully displaying his soulful style with an infectious melody, a catchy chorus, and insightful lyrics. 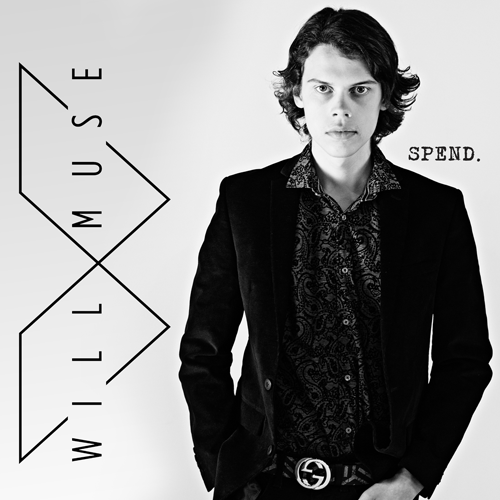 Following “Spend,” Muse will be soon releasing his debut nine-song album, co-written and produced by recording artist and veteran composer Britton Cameron – whose credits include Don Williams, Lonestar and Sister Hazel. Will Muse is also excited to announce he will be opening for the legendary Ronnie Milsap on June 15 at Renfro Valley Entertainment Center in Mt. Vernon, Kentucky. Muse will also perform his own solo show on June 29 at Renfro Valley’s Old Barn. To purchase tickets, or for more information on either of these shows, please visit RenfroValley.com. Muse also recently wrapped up the third installment of his self-produced Music for Wishes charity event, an annual fundraiser for the Make-A-Wish® Foundation of Kentucky that he first launched in 2017. With the help of family, friends, committee members, and a supportive community, the 2019 event raised more than $35,000, bringing the three year total for all events to over $85,000. Will researched many different charities, but ultimately found that the Make-A-Wish® Foundation was an under-served cause in his community, and there were multiple children with life threatening illnesses waiting for their wishes to be granted. Will’s immersion into music began at age five, when his mom Allison signed him up for guitar lessons, quickly followed by piano instruction. He had a natural gift for the electric guitar and aspired to be the next Slash during his formative years. The talented 16-year old from Somerset, Kentucky is looking forward to fulfilling a dream of his own when he can put together a tour to go out and connect with his fans. While he has been developing his artistry onstage for several years, winning an audition at 13, and performing at the Master Musicians Festival with Robert Randolph and the Family Band, and later opening for headliner Chris Knight at the Harvest Moon Festival, Muse loves the idea of headlining his own show where he can showcase his original music, along with songs that were instrumental in developing his passion for music. He cites his primary musical influences as The Beatles, Gun N’ Roses, Aerosmith, Elton John, George Michael and Prince.
.@RadioDisney to premiere new single & video for #Spend from teen prodigy @willmusemusic at 5pm ET / 2pm PT today!